Mergers and acquisitions again changed the complexion and makeup of this year’s Nation’s Restaurant News top foodservice company rankings, and the deals continued into this year as well. Merger and acquisition activity in the census, which included 2017 deals, crossed segments and size, ranging from JAB Holding Co.’s $7.5 billion buyout of fast-casual bakery-cafe brand Panera Bread Co. to Darden Restaurants Inc.’s $780 million purchase of Cheddar’s Scratch Kitchen from private-equity owners. And the activity has continued into 2018, with Roark Capital Group closing in February on the $2.9 billion acquisition of casual-dining Buffalo Wild Wings Inc. by Roark-affiliated Arby’s Restaurant Group Inc.
“In my view, the Panera buyout by JAB in April 2017 and the Buffalo Wild Wings purchase by Roark, via its Arby’s entity, in November 2017 were highly significant and stand out among the large amount of merger and acquisition activity of late,” said John Gordon, principal in the San Diego, Calif.-based Pacific Management Consulting Group. JAB Holding Co.’s acquisition of Panera Bread was the largest deal among many in 2017 tracked by Nation’s Restaurant News. And Gordon said still favorable, though increasing, interest rates and a hunger for growth on a global scale are helping fuel the merger and acquisition activity. “The general driving forces behind restaurant M&A remain robust, principally because larger strategic buyers look to acquire brands that have been established and can grow more quickly than building them from square one,” Gordon explained. “In addition, the cost of debt, while a bit higher in 2017 and 2018 than the very-low cost years prior to 2016, is still favorable,” he said. The acquisition of Cheddar’s contributed to Darden’s double-digit growth in estimated Latest-Year revenue. Private investment firms are also adding money to the M&A fire. “Many private-equity funds have available funds from investors seeking a return,” Gordon said. “Also there has been the growth of the global restaurant-brand integrators — like JAB and Restaurant Brands Inc. [backed by the 3G firm] — following in the pathway of Yum! Brands, to gain worldwide scale and scope.” JAB is based in Luxembourg and RBI in Oakville, Ontario, near Toronto. The biggest M&A deal of 2017 was the JAB acquisition of St. Louis, Mo.-based Panera Bread, which took the longtime publicly traded company into private hands. Gordon said Panera and Buffalo Wild Wings were at different positions in their businesses at the time of the deals. “Panera was very strong and growing at time of acquisition,” he said. Merger and acquisition impact on company foodservice revenue in the Latest Year was considerable. Orlando, Fla.-based Darden Restaurants, for example, in its Latest-Year saw estimated U.S. revenue increase by 12.7 percent, with much of that gain from a projected $664.1 million in sales from earlier purchase Cheddar’s. Paris-based Sodexo, after the close of its Latest Year in December 2017 acquired the Centerplate contract-management firm from Olympus Partners for $675 million. Centerplate, with estimated Latest-Year U.S. foodservice revenue of about $790 million, could significantly bolster Sodexo’s balance sheet going forward. JAB, in addition to its Panera acquisition, acquired through an affiliate in October 2017 the 270-unit Bruegger’s Bagels bakery-cafe chain from Groupe Le Duff S.A.-affiliate Le Duff America Inc. The company also acquired, through its Panera LLC affiliate, the 304-unit Au Bon Pain bakery-cafe chain held by LNK Partners LLC. And in May of this year, it agreed to acquire Pret A Manger, a London-based bakery-cafe chain, with about 530 locations worldwide, including about 90 in the United States. Houston-based Fertitta Entertainment Inc. in August acquired for $57 million the Joe’s Crab Shack and Brick House Tavern & Tap chains out of bankruptcy from J.H. Whitney affiliate Ignite Restaurant Group Inc.
Private-equity firm Olympus Partners in January sold Overland Park, Kan.-based NPC Restaurant Holdings Inc., a franchisor of Pizza Hut and Wendy’s restaurants in the United States with reported Latest-Year revenue of $1.36 billion, to a privately owned joint-venture group that included Los Angeles-based Eldridge Industries. Jack in the Box in March completed its sale of Qdoba to Apollo Global Management in a $305 million cash deal. Affiliates of New York-based Apollo, which also owns the parent companies of the Chuck E. Cheese’s and Peter Piper Pizza dining-and-entertainment brands, gained more than 700 owned and franchised Qdoba restaurants in the U.S. and Canada. In fiscal 2017, the Qdoba brand generated systemwide sales of more than $820 million. Restaurant Brands International, parent to the Burger King and Tim Hortons brands, completed its $1.8 billion acquisition of publicly traded Popeyes Louisiana Kitchen Inc. in March 2017, adding more than 2,600 quick-service restaurants to it portfolio. RBI’s Latest-Year revenue includes an estimated $184.1 million in post-acquisition U.S. sales and franchising income from Popeyes. Irving, Texas-based Del Frisco’s Restaurant Group Inc., parent to the Double Eagle, Del Frisco’s Grille and Sullivan’s Steakhouse concepts, in June acquired for $325 million the Norwalk, Conn.-based Barteca Restaurant Group and its 15 Barcelona Wine Bar and 16 Bartaco full-service restaurants. Barteca, as a freestanding company, had reported Latest-Year U.S. foodservice revenue of $128.2 million. Private-equity deals continued to alter the parent-company landscape, including several over the past year by New York-based Sentinel Capital Partners LLC. In December, Sentinel acquired from Centre Partners Management LLC the 531-unit Captain D’s and 49-unit Grandy’s limited-service chains. The Sentinel acquisition was offset by the February sale of the 350-unit Huddle House family-dining chain to Elysium Management and the April 2017 sale of Checkers and Rally’s Hamburgers chains, with a combined 850 units, to Oak Hill Capital Partners for $525 million. Cerberus Capital Management L.P. in January 2017 acquired out of bankruptcy the Garden Fresh Restaurant Corp., parent of the Sweet Tomatoes and Souplantation buffet chains, previously controlled by Sun Capital Partners. Those chains previously were controlled by Sun Capital Partners. In a quick flip, Cerberus, in August 2017, sold Garden Fresh to investor groups led by Perpetual Capital Partners, which now owns controlling interest. This has been a good summer for the restaurant industry. According to federal retail sales data, U.S. restaurant sales jumped 9.7% year over year on a seasonally adjusted basis. That continued a recent surge. Sales rose just 3.8% in April and have accelerated every month since then—potentially signaling that consumers are opening their pocketbooks as their taxes decrease and their finances improve. But there’s one problem: Restaurant chain sales, at least for now, don’t appear to be keeping pace. Same-store sales in July, according to the monthly Black Box Intelligence Index, rose just 0.5%. 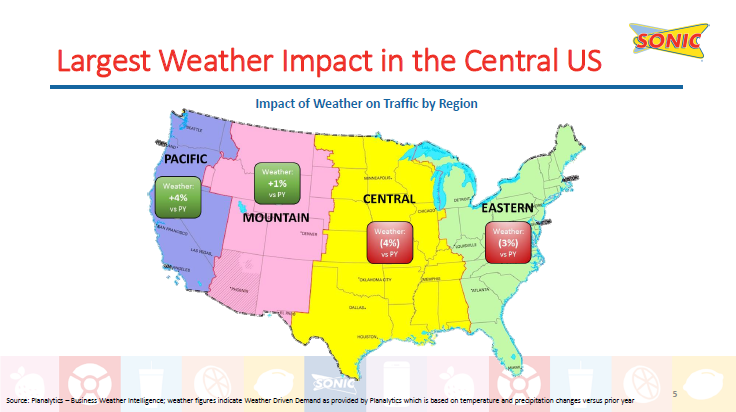 And same-store traffic has been down all year long, including a 1.8% decline in July. And the monthly Technomic Chain Restaurant Index was also weak in May and June even as total industry sales seemed to jump. The annual growth in restaurant sales has spiked the past three months. Some do question the data itself. Technomic, a sister company of Restaurant Business, does not pay much attention to the federal data over concerns about the limited number of sources for its calculation. And a 9.7%, annual increase in sales should be reflected more in chain performance. Yet, for the most part, same-store sales in the second quarter were modest and chains such as McDonald’s, Starbucks, Chipotle, Shake Shack, Dunkin’ Donuts and others reported lower traffic. Quick service and fast casual chains’ same-store sales averaged under 1.5% in the second quarter. That wasn’t enough to match the 2.8% annual increase in menu prices so far this year—meaning that these chains’ traffic fell. If consumers were rushing out to their local restaurants the past three months, more of those publicly traded companies would have reported stronger same-store sales. Still, the discrepancy backs a growing contention among many industry observers that consumers are shifting more of their spending toward small chains and independents that are not typically captured by major indexes. And there are more chains now than there was even five years ago. Consider that chains such as Shake Shack, Mod Pizza and Blaze Pizza, among others, were barely registered if they existed at all five years ago. “When you think of how many new players are out there, especially in segments like fast-casual that we didn’t even have a few years ago, there are so many players in there, and some of them are becoming the favorite restaurant of a lot of people,” said Victor Fernandez, vice president of insights and knowledge at Black Box parent company TDn2K. Fernandez noted, for instance, that more chains are doing better this year. He said that half of restaurant chains his company surveys have better same-store sales than a year ago. The year before, that number was just 36%. And consumers do have a lot of choices in their restaurants. The number of locations in the U.S. has jumped 16% over the past decade, according to federal statistics. With so many choices, in addition to convenience stores and grocery store prepared food, consumers might be spreading their dollars. Jack In The Box franchise holders that own 2,000 restaurants are calling for the replacement of the company’s executive management. A group of Jack in the Box’s franchisees is calling for the ouster of Chief Executive Leonard Comma, claiming the San Diego quick service restaurant brand is not spending enough to support them. The National Jack in the Box Franchisee Association – comprised of 95 owners of roughly 2,000 of the Jack in the Box’s 2,240 locations – published a letter Tuesday calling for its board of directors to replace Comma and the current leadership team. This summer, Chief Marketing Officer Iwona Alter left the fast-food chain after 13 years with the company. One of its advertising agencies also is no longer working with the firm. In a statement, Jack in the Box said it has worked closely with the National Franchisee Association leadership over the past year. The franchisee group cast a “no confidence” vote in Jack in the Box’s executive team at its annual meeting in July, according to the letter. 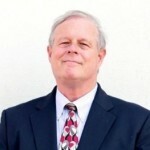 It has hired Robert Zarco, a Miami-based trial lawyer with experience in franchisee rights, to represent restaurant owners in the dispute. The public letter calling for replacement of the CEO is a surprising step for Jack in the Box franchisees, many of whom have operated franchises for a long time, said Gordon, the restaurant industry consultant. Under pressure from activist shareholders, Jack in the Box sold off its Qdoba Mexican restaurants recently. It also has been transforming company-owned restaurants into franchise locations. Although Jack in the Box posted better-than-expected earnings per share and revenue in its most recent quarter, the gain was driven by a lower tax rate and share repurchases. Same store sales growth — a key metric in the restaurant business — was only 0.5 percent. Zarco claims he has been trying to engage in direct discussions with Jack in the Box’s board of directors, but at this point has been unable to do so. Shares of the company closed trading Tuesday up 16 cents at $84.22 on the Nasdaq exchange. Some interesting developments in restaurant franchising are becoming a reality even in the “asset light” restaurant space. It turns out that it does take money to make money in the future. The requirement for franchisee capital spending (CAPEX)—the big-ticket construction, equipment and information technology outlays—is often underestimated and almost always under reported. These outlays traditionally have been the franchisee’s responsibility. 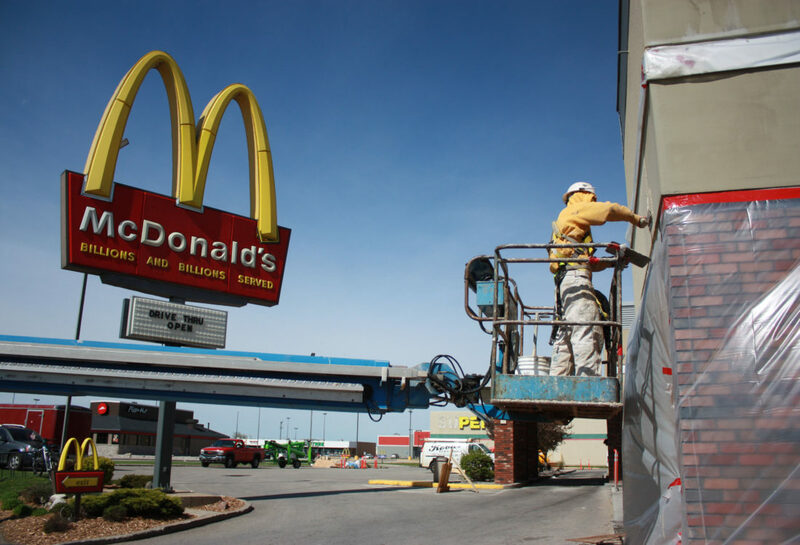 A few chains, like McDonald’s (MCD) and Tim Horton’s (THI) Canada, kept real estate and construction in house and initially corporately funded it, with franchisor cost recovery occurring over time by the franchisee paying at or above market rents. Later, the McDonald’s franchisee must pay for remodels, as well as the more costly total rebuilds or relocated units. Typically the franchisee remains responsible to pay for all future remodel and maintenance CAPEX outlays. But this is relatively rare, mostly the franchisee funded the capital spending via friends and family, bank debt, partners and injected cash. That was doable by some, especially after the Great Recession as interest rates remained very low. This “franchisee sole responsibility to fund” reality has begun to change in some brands over the last few years out of necessity. First, as the utility and success of technology backed loyalty, delivery and digital interfaces have been pioneered by Panera (PNRA) , Starbucks (SBUX) and Dominos (DPZ), the digital level of complexity has been raised. Restaurant franchisors have come to understand that an IT backbone would have to be built and maintained centrally by brand headquarters. It would have been unworkable for there to be thousands of servers among a brand’s franchisee units all maintained separately—the cost to implement would have been impossibly expensive and many of the systems would be built differently and likely couldn’t talk to one another. Another issue: the level of capital expenditures necessary to remodel restaurants and add new brand mandated systems and equipment has become big numbers. Our calculations show that depreciation expense—the typical proxy for capital spending that is a tax deduction and a non cash expense—isn’t enough to provide a fund. The actual outlay of cash required is greater than that. Even if restricted cash is available to pay for future remodels and upgrades, the effect of inflation on construction and equipment would require even more funds than were originally earmarked to get the same purchasing power. Keep in mind that most franchisees have a store development agreement in place, whereby building new stores or purchasing new stores competes for funding with remodels. Bank debt can partially suffice unless lending covenants are already stretched. Finally, franchisees are typically in ‘wait and see’ mode on remodels and new sales platforms until the franchisor executes it themselves and proves that it works. That builds in delays–time of implementation lags. If the franchisor has company stores (some do not, such as Dunkin Brands (DNKN) and Subway, for example), it takes time for brands to get proof to market and get the franchisees on board. This has happened with all of the leading franchisors—McDonald’s, Wendy’s (WEN), Burger King (QSR), Sonic (SONC) and many others. Since McDonald’s (MCD) owns most of its real estate, it can justify partially funding franchisee costs. This occurred in 2008/2009, with the McCafe co-investments (about $150K per store), and then in 2016/2017 with its Experience of the Future Investment (about $6 billion in total franchisor/franchisee investment over 2018-2020, with the franchisor funding about 55% of that. Via its parent YUM Brands (YUM), Pizza Hut made a basket of investments in 2017 ($130M)and 2018 ($200M) to enhance restaurant operations, marketing and remodeling. This was done to ease the burden on franchisees and to ensure improvements were implemented more quickly. Dunkin Brands (DNKN) recently set aside about $65M for CAPEX and equipment to help fund test store’s expansion to its Next Generation store types. There are several actions required of both franchisors and franchisees to make these business issues work for all. Additionally, better scorekeeping is necessary. Much greater visibility to fully loaded (i.e., with capital spending and debt costs fully allocated) franchise store economics is required. Some franchisees don’t report their capital spending and capital spending data; some franchisors are afraid to know and pretend they don’t have that data. Tracking EBITDAR or EBITDA is of only so much use if the CAPEX and debt service costs can’t be seen. Finally, franchisees need to ask and document their needs and wants in an organized way. Through either franchisee associations or via brand advisory councils, organized requests and backup needs to be presented. There is strength in numbers—some franchisors prefer to deal with individual franchisees head to head to avoid group pressure. Some franchise brands have implemented a small fee on loyalty and digital transactions sales to fund this outlay. Dominos and Subway are examples. 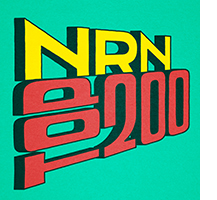 Nation’s Restaurant News, May 3 2017. In 2015, YUM noted it invested $180M for KFC requirements. Subway Restaurants’ $5 Footlong jingle is the kind of ear worm that’s hard to get out of your head, but now you might have to. 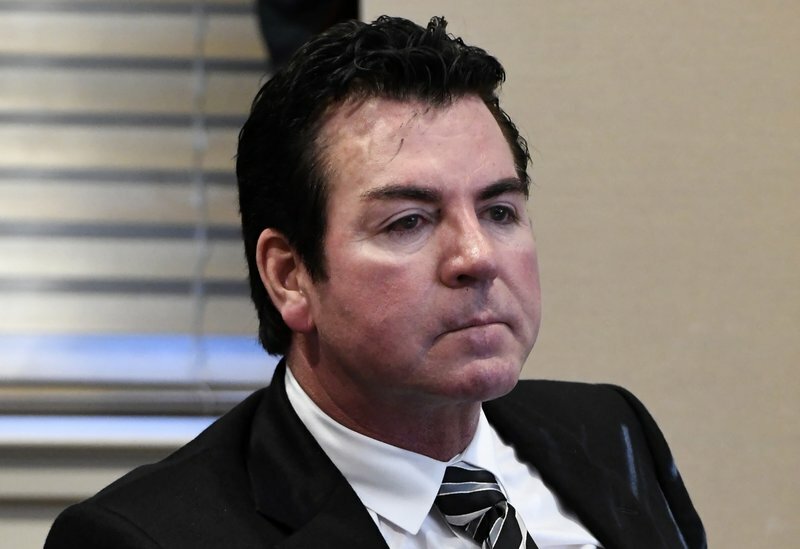 When the chain brought back the $5 Footlong last winter after a years-long absence, many franchisees were irate. They complained loudly of the slim margins they earned off of the discounted ‘wich, and according to Haynes, the company – whose restaurants are 100 percent franchised – listened to the gripes. “Maybe off-the-menu-type products or Unicorn-type drinks at some time, but it needs to be profitable and successful for our franchisees,” Haynes said. The chain is testing some more exotic tastes. Haynes said they’re working on what’s been dubbed Firebird chicken, a spicier rotisserie-type poultry, and guajillo steak. Plus, 200 San Diego locations are testing a quartet of new sandwiches, which the chain refers to as “regional flavors” – a Steakhouse Melt (shaved steak, American cheese, onions, green peppers, spinach and Sub Spice), a California Club (oven-roasted turkey, fresh avocado and Mustard Seed Spread), a Provencal Tuna Melt (tuna, cheese, tomatoes, spinach and Provencal herbs) and an Italian Grinder (pepperoni, Genoa salami, Black Forest ham, onions, Signature Herb Garlic Oil and cracked black pepper). They’re not the brand’s first foray into alternative breads. In March, Subway launched a line of wraps, which Haynes called “extremely successful for our brand.” Subway had tried this carb form in in 2004, followed by a tortilla option in select markets three years later. “That was 10 years ago. Nothing has happened at Subway essentially in 10 years,” he said. Gordon gives Subway a thumbs-up for its new wraps but advises moving away from bread and starting to serve meats shaved and stacked deli-style, if the chain wants to avoid fellow sub chain Quiznos’s downward spiral. 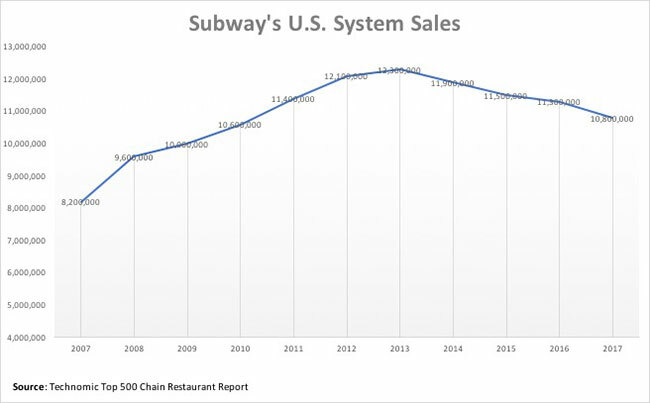 They key to Subway’s continued success is underscoring customers’ ability to pick precisely what they do and don’t want on their sandwiches, according to Haynes. Aaron Allen, founder of the Orlando, Florida-based eponymous global restaurant consulting firm, is unimpressed by Subway’s continued emphasis on customization. 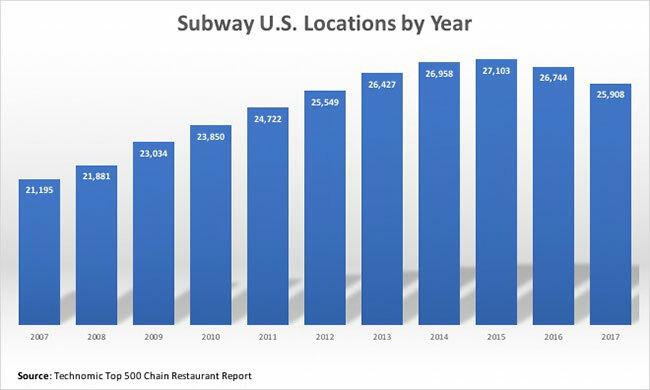 “It’s certainly in the playbook of many more (fast-food) restaurants than it was previously,” he said, explaining that with an increasing number of chains focusing on self-ordering – both at in-store kiosks and online – the approach becomes even less unique to Subway. Subway restaurants are being redesigned. 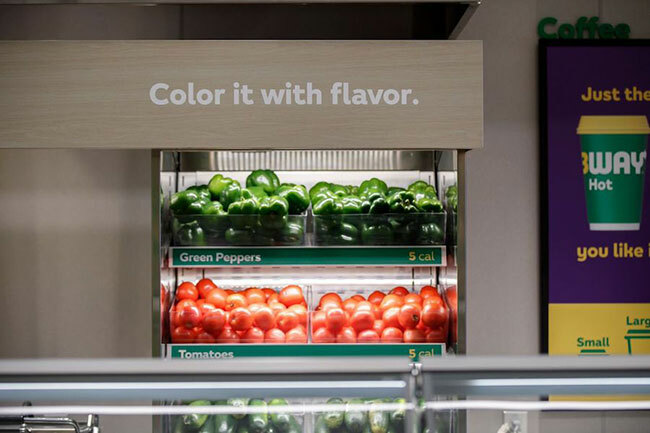 The bright, fresh, green palette is vegetable-inspired, and the decor overhaul for everything from freestanding drive-thru locations to the kiosks will “start in earnest” next year, Haynes said. Even though the U.S. is famous for its burgers and fries, you won’t have the same fast food experience in every state. John Gordon, principal at Pacific Management Consulting Group, joins BNN’s Michael Hainsworth for a look at Freshii’s latest outreach to disenfranchised Subway franchisees and why he believes the move is shrewd but likely won’t be able to see the light of day.